1.5 Why should you substitute sugar for honey? 1.6 Is honey good for people with diabetes? 1.10 Who can eat honey? 1.11 Is honey good for babies? 1.12 Since when has honey been used? 1.13 What does honey provide us with respect to other sweeteners? 1.14 What properties has honey for the skin? Honey, because of its richness in sugars, is a fast and healthy source of energy. As a curiosity, honey is the most energetic food provided by nature. (Regardless of foods processed by man, such as oil, for example). Honey contains mainly fructose and glucose, a type of sugars that are quickly absorbed in the intestine. These honey sugars have undergone a process of predigestion to be previously digested by the bees. This makes them a type of sugar that is easily digested. On the other hand, we must emphasize that honey has a set of enzymes and minerals that enable a better use of sugars. Any food can make us gain weight if eaten excessively. Sugars, such as table sugar or honey, have the ability to make us fatter than other foods because they contain more calories, so both honey and sugar should be eaten more moderately. To begin with, at the same weight ingested, sugar fattens more than honey because it contains more calories (387 calories from sugar per 100 versus 304 calories from honey). This is because honey has more water. However, in addition to possess less caloric power, honey contains a particular composition that makes its sugars a more suitable product than table sugar. Any type of carbohydrate, that is to say, any type of sugar we eat, except glucose and fructose, must be converted to glucose in order to be assimilated. Glucose flows through the bloodstream. The insulin traps it to feed the cells of the whole organism. Some of this glucose trapped by insulin serves to feed the cells, but most of it is stored as fat. In this way, if the fat reserve exceeds the energy needs of the body, we store more and more fat appearing the problem of overweight or obesity. On the other hand, another smaller part of this glucose is converted into glycogen by an enzyme called glucokinase. Glycogen is a reservoir of glucose that is stored in the liver. Why should you substitute sugar for honey? When we eat honey, the fructose in this food encourages the production of the enzyme glucokinase that allows the conversion of increased amounts of glucose into glycogen and, instead of being stored in adipose cells, is stored in greater amounts in the liver. Is honey good for people with diabetes? According to the American Diabetes Association, rather than looking at a particular food, we should consider the total carbohydrate intake with all foods in the diet as a measure to control the level of glucose in the blood. As we see in the table, a spoonful of honey has more calories and carbohydrates than its corresponding tablespoons in sugars. This is because the honey is more dense and weighs more with the same volume. Even so, honey would be in foods with a high glycemic index (those that are higher than 50) and very far from those foods with low glycemic indexes (those that are equal to or less than 35). Chards have an IG of 15, artichokes of 20 and beans of 35. Other foods would be located within an average glycemic index (those between 35 and 50) such as oats (40) or cherimoya 35. Therefore, both honey and table sugar, white or whole, should be used very little in patients with diabetes. Honey can be considered a natural antibiotic. The antibacterial properties of honey come mainly from its content in the enzyme glucose oxidase. This enzyme produces hydrogen peroxide which has antibacterial properties. In addition, it contains other components, such as inhibins, that possess antibiotic properties because they prevent the bacteria from developing. The antibacterial properties of honey are very suitable for the treatment or prevention of diseases such as colds, flu, bronchitis, sinusitis, asthma, sore throat, or other respiratory anomalies. What honey is good for respiratory diseases? What honey is good for the stomach? The antibacterial capacity of honey may be able in some types of honey, such as manuka honey, to neutralize the bacterium Helicobacter pylori causing most stomach ulcers and duodenal ulcers, responsible for symptoms as unpleasant as stomach ache or heartburn. What honey is good for mouth diseases? Many of the conditions of the mouth can benefit from the properties of honey, such as mouth ulcers, gum infections or cavities. The ability of honey to eliminate bacteria and promote the healing of wounds and burns can be used in the external treatment of these skin conditions. It has been shown that placing a layer of honey on the affected area helps to regenerate the skin and prevents it from becoming infected. Equally interesting is the application of honey on the ulcers of diabetics, especially those that occur in the feet and that often force them to amputate them. The brain feeds on glucose. 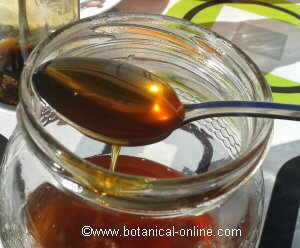 Honey, because of its richness in sugars, has a sedative effect, very useful for problems of stress, insomnia or nervousness. 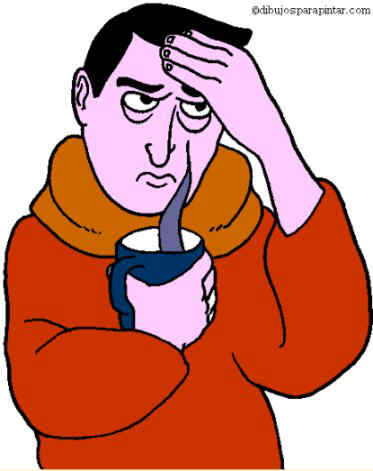 Sweetening the tranquilizing herbal teas with honey will help boost their soothing effects. Honey is suitable for all people. However, because of their high sugar content, it should be taken in moderation by those who are overweight, obese or those who wish to make diets to lose weight. 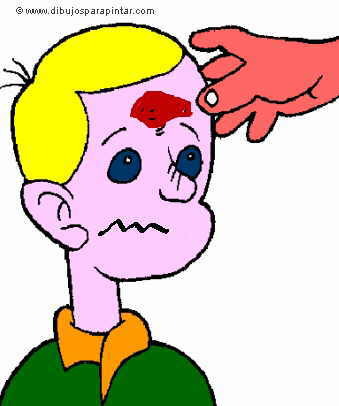 Diabetics should also be very cautious in their use. Is honey good for babies? 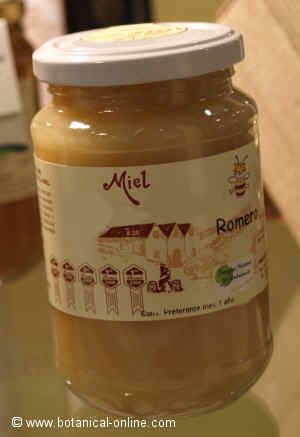 Honey should NOT be given to infants under 18 months of age. These, unlike those who are of a higher age, still do not have the stomach acid enough to remove any bacteria from honey. Among all these, the most dangerous is the bacterium Clostridium botulinum that is the cause of botulism, a type of food poisoning that can have very serious consequences. Since when has honey been used? Honey has been used for many thousands of years. There is evidence of its use by men 7000 years ago. All this, shows that the cultivation of honey has always attracted the humanity that has enjoyed, thus, the flavor and the goodness of this product made by bees. 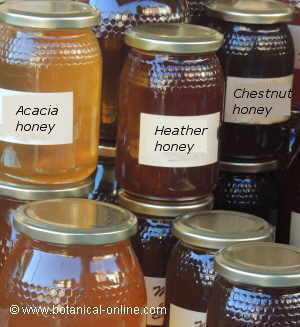 What does honey provide us with respect to other sweeteners? Helps reduce stress, nervousness or anxiety. It is good for diarrhea and, at the same time, helps prevent constipation, so it exerts a regulatory function of the intestine. It has antiulcer properties, helping in the prevention and cure of stomach ulcers. What properties has honey for the skin? It helps heal skin cuts. It has cosmetic properties, being used in creams, masks, shampoos and other products for the skin, the hair and the nails.